Harold Washington became Chicago's first African American mayor in 1983. CHICAGO (WLS) -- Community leaders from across the city and state gathered Tuesday to remember Chicago's late Mayor Harold Washington. 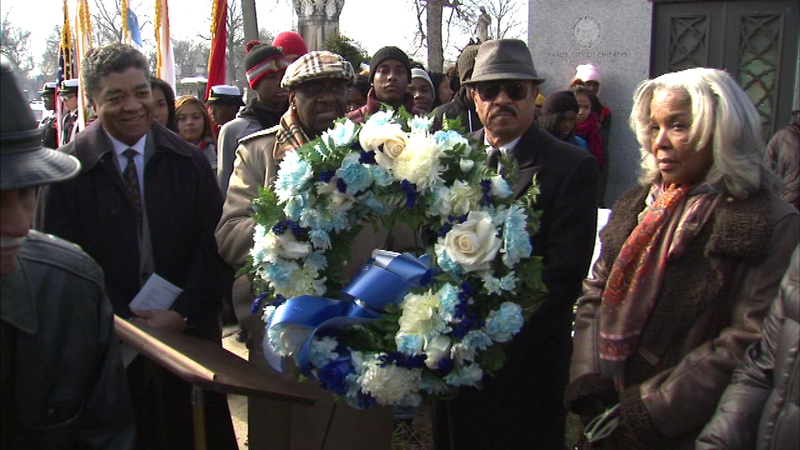 A wreath-laying ceremony in memory of the late mayor was held at Oak Woods Cemetery on the city's South Side. Washington died 28 years ago while working in his office, but Mayor Harold Washington Legacy Committee remembers him every year. Washington became Chicago's first African American mayor in 1983.